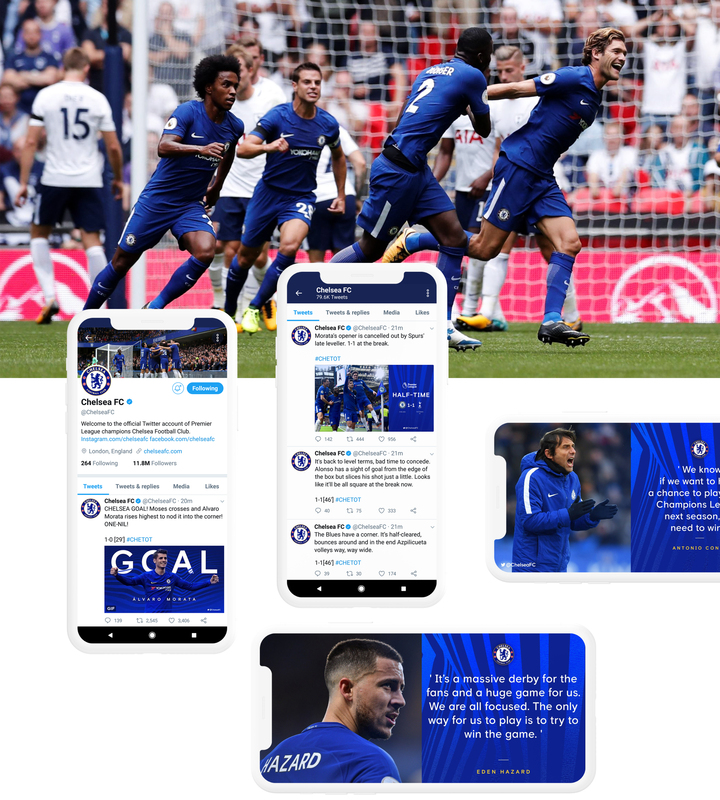 As part of the Premier League Champions extensive club rebrand, we worked with their brand team to help develop and visualise a new social design aesthetic to be seen across it's global platforms, exploring and realising how the brand explodes into life across 96 million feeds. Two sentiments were key driving factors in the visual direction: capturing 'WOW!' 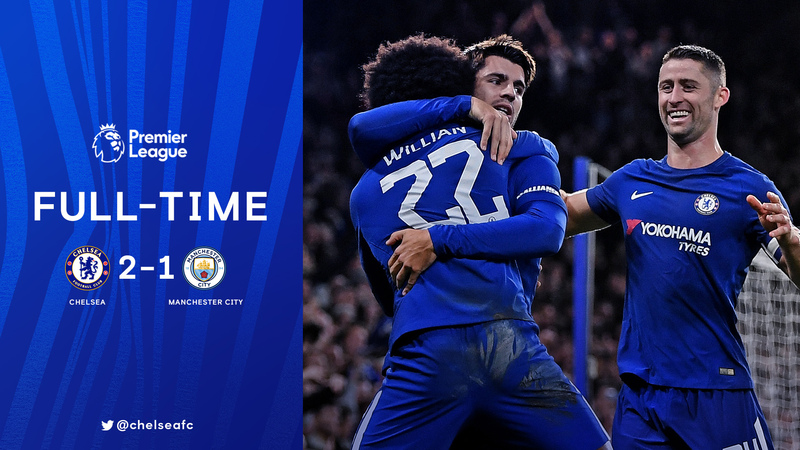 moments and a feeling of 'Premium', that comes with everything Chelsea F.C. 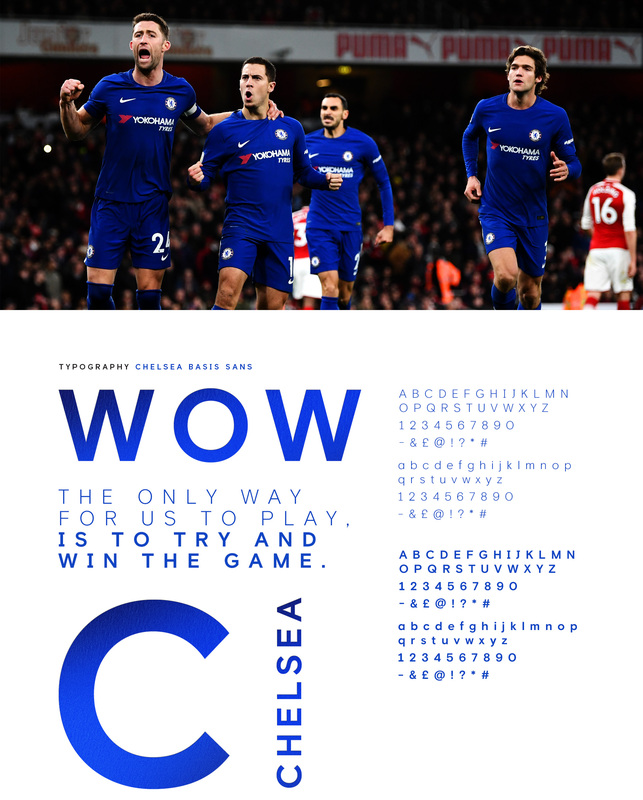 As well as celebrating those 'WOW!' 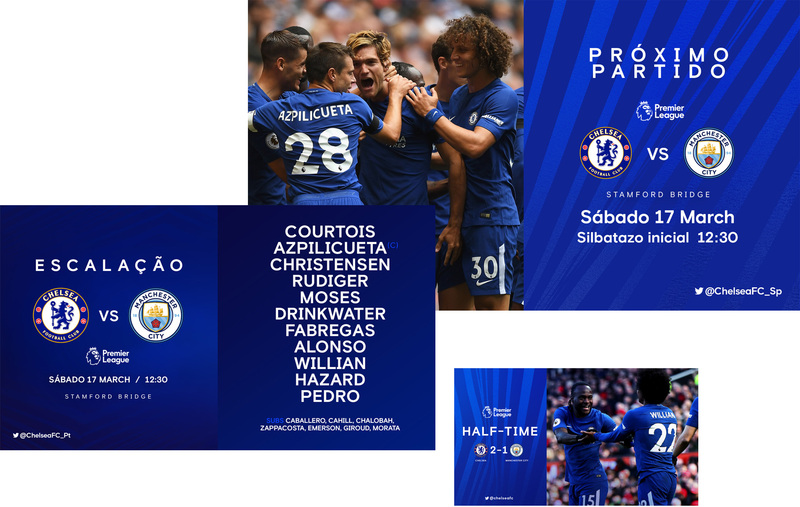 moments with the club's followers, Knight Studios developed varied content for key notifications around each game – specifically for the line up for pre-game, score graphics at half-time and full-time. All of this creative content, in both static and motion, is shared in over seven different languages across four continents and is seen by over 96 million people each week worldwide. 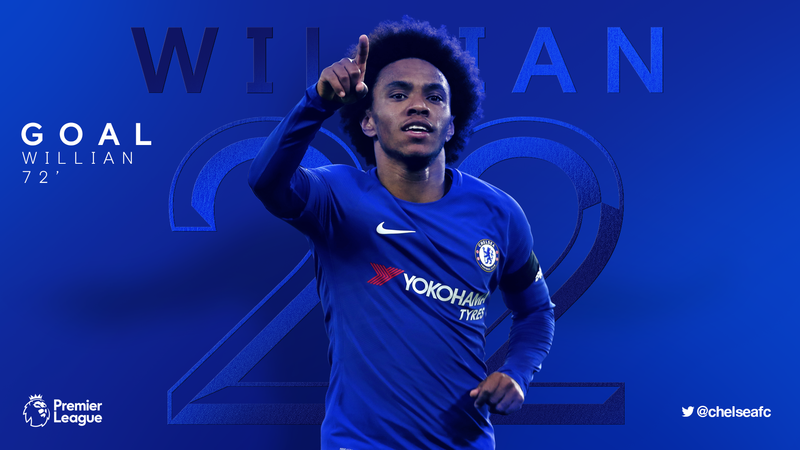 As away and third team kit colours change year-on-year, we harnessed the power of the one constant: the Chelsea Blue. 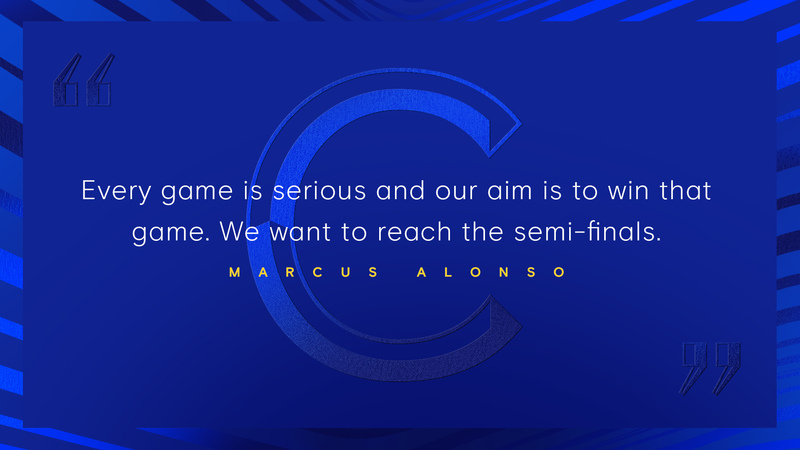 It has huge brand recognition and over previous seasons was allowed to get diluted by other colours and applications, so for the rebrand we have helped to bring that firmly back to the foreground, building everything around it. 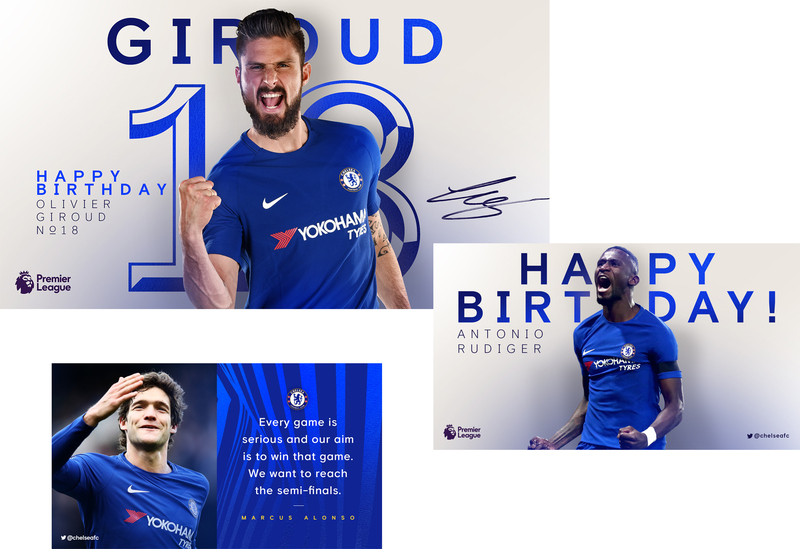 Alongside that strength of that colour, we paired a foil texture that helped to visualise the premium aesthetic that was being applied to other areas of the rebrand, this really helped to establish the perfect feel for this new direction and allowed for some visually striking designs. 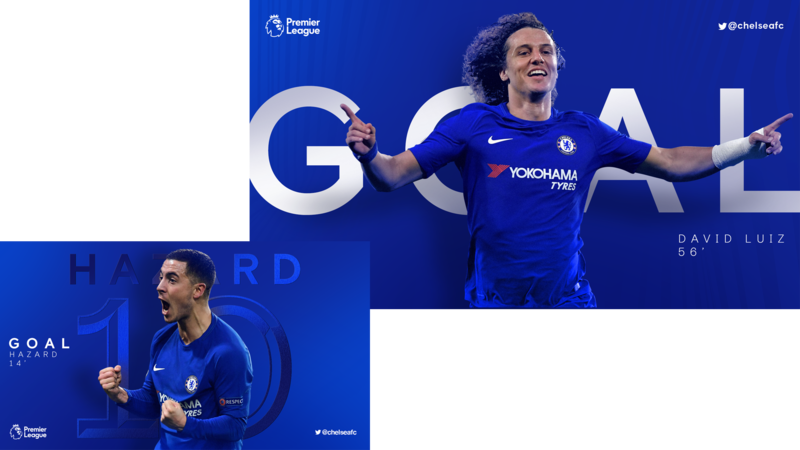 Our partnership with Chelsea has helped the club's real-time and dynamic content rise above the opposition, taking them to new levels of engagement worldwide. The new Creative Toolkit has improved the content workflow while crucially being flexible enough to allow it to evolve and strengthen as the rebrand develops and gains traction. 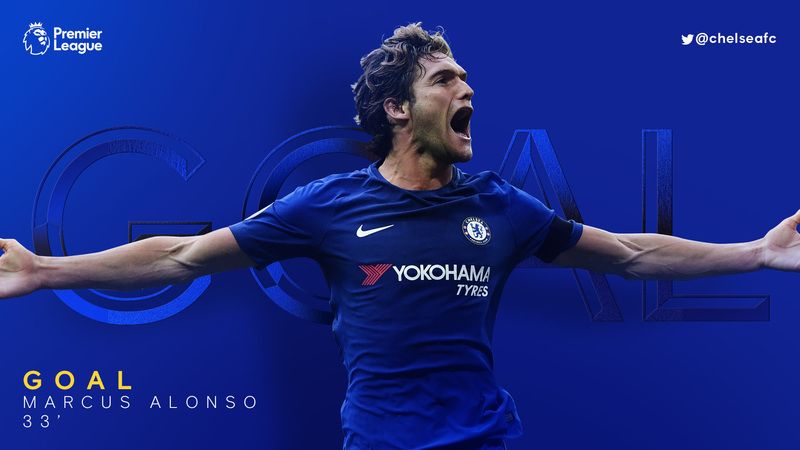 We continue to work with the club's Social Team in creating unique and exciting daily content, while supporting the brand team and explore how it can continue to inspire, engage and explode into life through motion graphics and video solutions.